Source: Received a copy via netgalley from Point. Thanks so much for letting me review this book! The last academy has you guessing from the beginning and believing in things that will, by the end, blow your mind. With a unique ending that I never guessed would've happen. 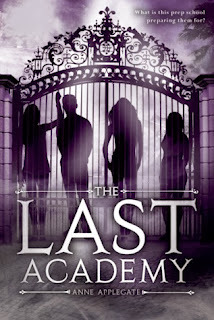 The last academy is about fourteen year old girl named, Camden, who has a fight with her best friend and decides to go to a private academy in California. Leaving her ex-best friend behind, she arrives at the academy where she is met with her snotty, obnoxious, roommate Tamara, and makes two friends, on the first day, Nora and Jessie. This seems like your normal boarding school, right? Wrong! Everyone is there for a reason. A reason you will soon find out ;) With a creepy guy following Camden around how will she ever make it, through her freshman year of high school? Going into the academy I thought it was your average boarding school and Camden was going to go there make friends, fall in love and forget her old best friend even existed. However, this story turned out to go into the paranormal genre. I didn’t really expect it to go this way, but I kind of had a feeling it would. Camden just so happened to move to boarding school and I don’t find her as an un-relatable character or particularly whiny character, but she didn't really move me like some characters have done before either. I didn't really like they had the stereotypical bully as a roommate. Every time she was mean to Camden I just felt a little annoyed because in almost every boarding school book I read, there is a bully as a roommate and I’d just like to see a change in that. However, the other characters were all quite likeable and I very much enjoyed reading about them and them trying to solve this mystery. As for the plot line, there were things I thought were great and well written and some things just missed the mark for me. The one thing that really bothered me while reading this novel was that I read a chapter and moved on to the next one and once I started reading, I felt as a chapter of my book had been ripped out and I was looking at the following chapter. It became quite confusing and frustrating at points to read because I wanted to know all the details. If I had read this book over the past few days I would have said that’s probably what is was because I would have most likely went back to reading and forgot some things. However, I read almost all of this in one day. On a brighter note, one thing I did rather enjoy was the ending of this book. The ending was completely unexpected. This had to be the first time I was like wow I didn't even guess that this is what this book was going to end up being like, halfway through. 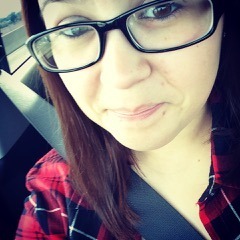 Most of the time I make a guess and I’m right about some parts, but the ending was no where’s in my mind. It was so mind blowing you guys. It made me rethink the whole entire story and go back and say… Yeah I do see it now. This book will be enjoyed by book lovers who love boarding school settings and a good paranormal read. I do encourage you to check out! In the end, nothing’s as it seems and if you decide to check out this book, pay very close attention and see if you can guess the ending and if you've already read it be sure to leave a comment below and tell me what you thought of the ending or the booking in general.